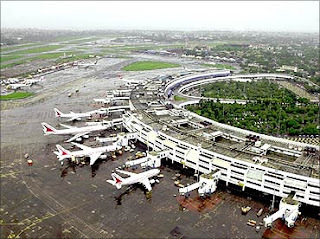 PUNE: To provide flyers with seamless travel, Cidco, the nodal authority for the Navi Mumbai international airport project, plans high-speed road corridors to connect the airport with Mumbai, Pune and Thane. Cidco chief general manager (airport & transport) Soma Vijay Kumar said, "We have suggested the projects as they will help smooth and seamless vehicular movement to the airport." To start with, the east-west terminals will have entry/exit points at both ends. At the eastern end, Cidco has planned a big interchange at Kalamboli traffic junction and a cloverleaf interchange around two km away on NH 4B to ensure smooth movement of vehicles from and to Mumbai, Pune, Thane and Mumbra. At the western end, there will be loop roads at Kille junction on Palm Beach Road for vehicles going towards Mumbai's central suburbs, Chembur, Thane and beyond. In March, Mumbai JNPT Port Road Company Ltd (MJPRCL), a special purpose vehicle, will invite tenders to appoint a technical consultant for suggesting designs for the roads . JNPT, NHAI and Cidco are equity holders in MJPRCL. An official from the National Highways Authority of India (NHAI) said, "Cidco had suggested right at the beginning that road projects be taken up after finalisation of the strategic partner. With the closure of financial bid and GVK-led MIAL chosen as the prospective partner, the consultant will help to design the road infrastructure. We have worked on the loop road connectivity at Kille junction, but it can be revisited." NMMC additional commissioner Ankush Chavan said, "We have given MJPRCL a no-objection certificate to execute the work at Kille junction."